For many people, living on an island or near an island has always seemed very enticing and exciting. Many people who are longing for a different life outside of the big city can appreciate the peace and quiet they will get on an island. After all, they will be surrounded by beautiful weather and beaches. Residents on an island, there will not be any rush hour traffic or any traffic jams. You will be far away from all the noises of the busy city and you will be able to settle into something that is completely different from the city. However, it is important to remember that not all islands are the same. There are some islands that will get plenty of rain or snow, while other islands will not. It will all depend on what you are looking for. If you are looking for an island like St. Simons Island in Georgia, you will live as close as you can get to an area that does not have the big city vibe. When you make the move to St. Simons Island, you will be surrounded by beaches where you can watch the amazing sunsets. When you are living on an island, every single day will feel like a vacation. It is also important to remember that life on an island will not move at the same pace as life in the city. When are living on an island, you will not have to dread shopping due to the smaller crowds. You will not have to worry about large crowds or long lines. Life on the island will be very relaxing, and you will have more opportunities to get to know people and let them get to know you. If you love the outdoors, you will love living on St. Simons Island. The climate in South Georgia will mean you will always be able to feel a nice breeze coming off the ocean. St. Simons Island also has a rich history that will take your breath away once you learn more. With the beauty of the island, the history, and all the conveniences surrounding it, it is no wonder that life on St. Simons island continues to be appealing. 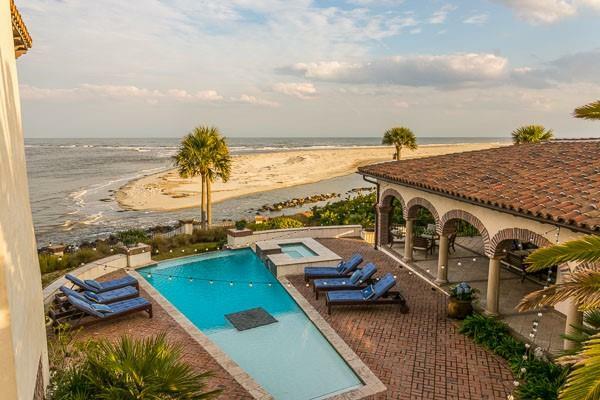 If you want to live somewhere that gives you the opportunity to appreciate every moment, please do not hesitate to contact DeLoach Sotheby’s International Realty today for more information on St. Simons Island real estate.